Following our recent AGM, The Blackwood Ladies Golf Club Committee would like to congratulate Maggie Grant on becoming the 2017 Lady Captain. 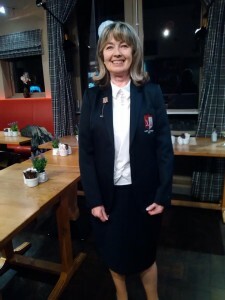 She will be assisted by Julie Rainey as her Lady Vice Captain. We would also like to thank our outgoing 2016 Lady Captain, Jill Macdonald, for her enthusiasm and dedication. Here’s to a successful and enjoyable 2017 season! New lady members are always welcome. 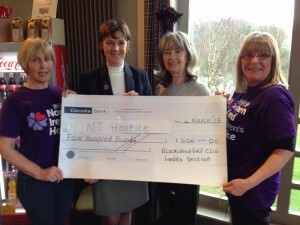 The Blackwood Golf Centre Lady Past Captain 2016, Jill Macdonald was pleased to present a cheque for £400 to the NI Hospice as her chosen charity. The money was raised from a Charity golf event, Christmas ballot and kind donations on her Lady Captain’s Day. From left to right: Hospice representative Violet Bowler, Lady Past Captain Jill Macdonald, Lady Captain Maggie Grant and Hospice representative Carol Young. 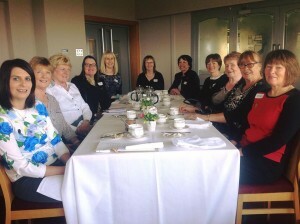 Julie Rainey, Lady Vice Captain (front left) enjoyed an informal Lady Captains & Lady Vice-Captains Coffee Morning on Friday 24th March, hosted by Clandeboye Golf Club. It was a great opportunity to promote our Ladies Club and our beautiful course at The Blackwood and also to build new relationships with other ladies from the North Down area. Over the course of the season, we hope to welcome their clubs, along with others from further a field and to reciprocate with exchange visits.